Bay windows are a stylish feature but dressing them isn’t always easy. The very nature of bay windows jutting out from the room presents more of a challenge than standard windows. However, with careful planning and expert advice you can find the perfect solution for your bay window. The Norwich Sunblinds team have dressed many a bay window during the past 40 years; whether your home is traditional or contemporary, we can dress yours to perfection. Curtains are a perfect fit with bay windows, acting as a frame and creating a dramatic touch, the ultimate staging for your home. 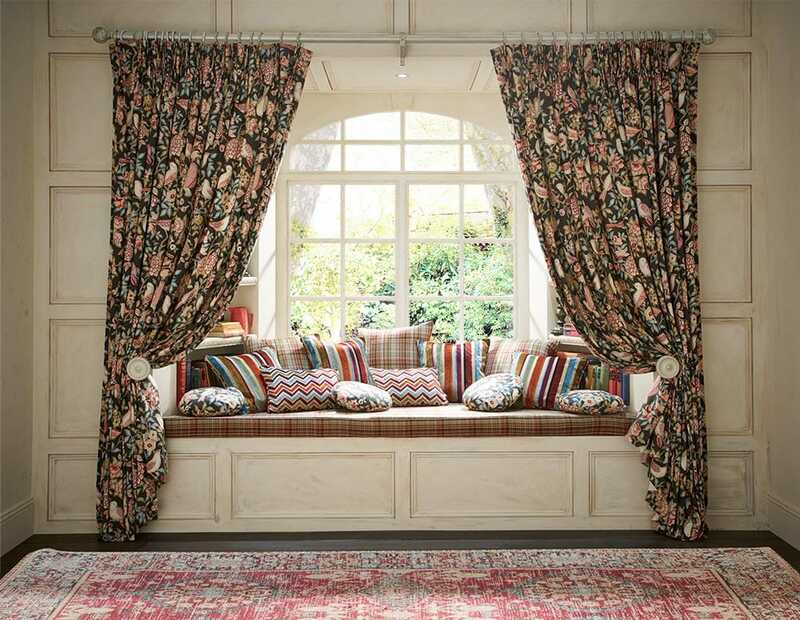 You can go bright and bold or contemporary and understated, it’s all down to your personal taste when it comes to curtains for bay windows. 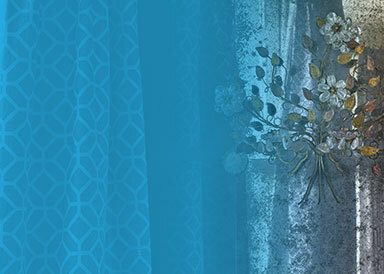 Full-length curtains work best, as they create a sense of height. If you have more than one window to dress, a curtain for each is ideal. Curtains really work for bay windows as not only do they look fabulous, but they reduce draughts, helping to keep heat in. They can also block out sunlight. 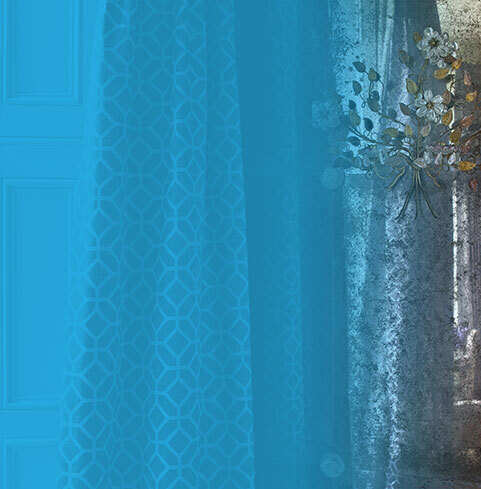 Find out more about bay window curtains in one of our Norfolk showrooms. Looking for bay window blinds? When it comes to dressing bay windows, if you want to create a sense of stylish luxury, look no further than roman blinds. 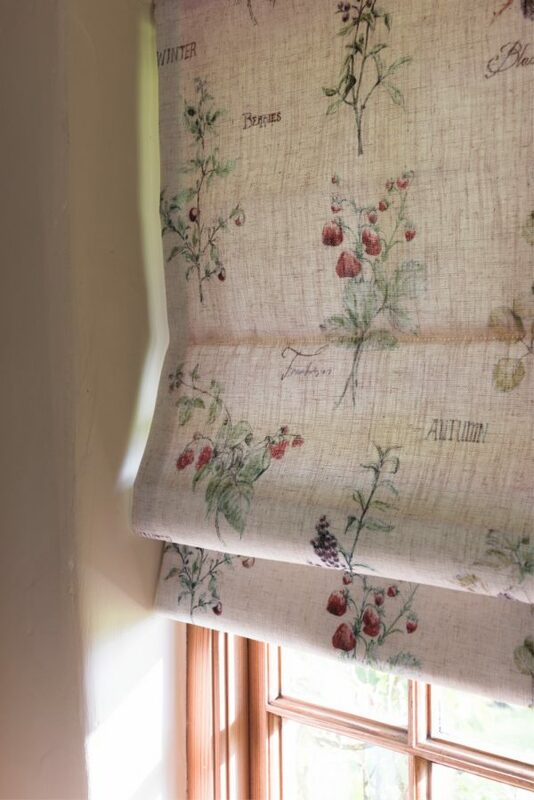 You can lower the blind to cover your window and it will look simply gorgeous when raised. Roman blinds really soften the look of bay windows. 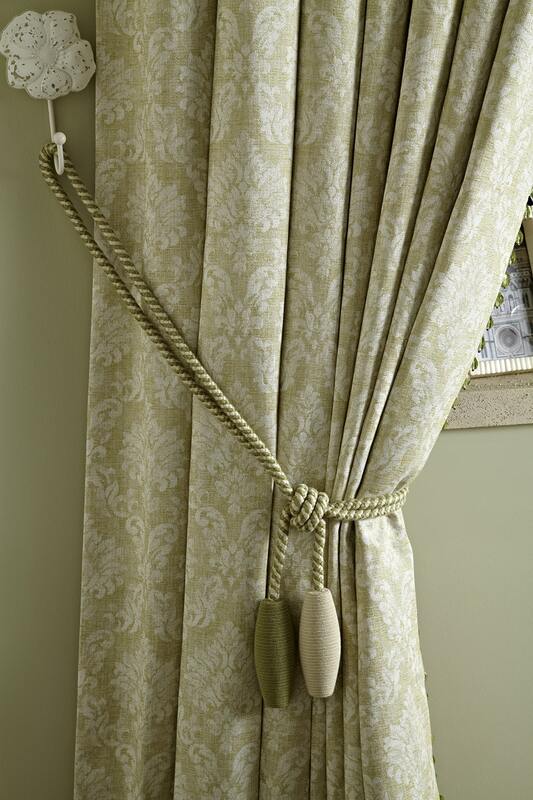 Curtains and roman blinds work well together, too, ticking all the boxes for maintaining privacy and preventing heat loss; you really can’t go wrong. 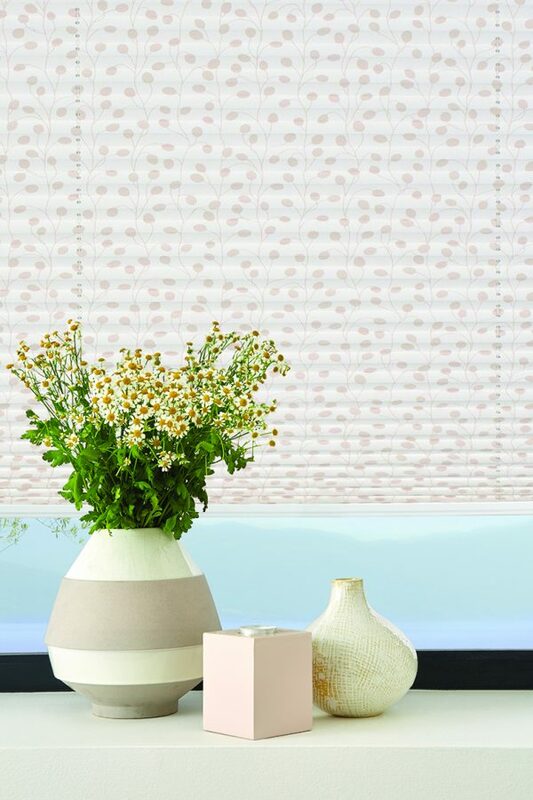 You can choose from a wide range of fabrics and finishes with Norwich Sunblinds. 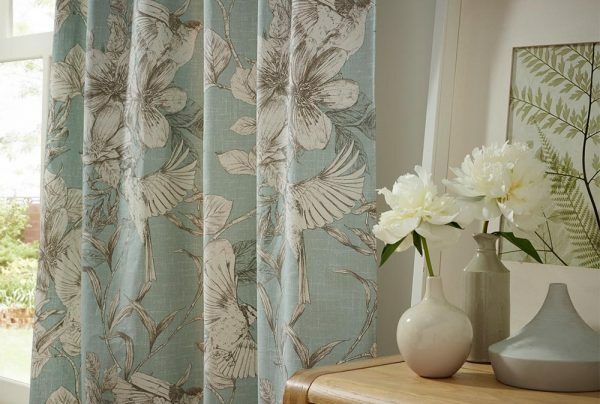 Roman blinds in a decorative print look great when paired with plain colour curtains. You can even opt for blackout lining. We can advise you on the best options for your bay window during a home appointment. When you are looking for bay window blinds, pleated blinds might be the solution if you have an awkward shaped space to dress. You can also opt for insulating fabrics to help prevent draughts on colder days. 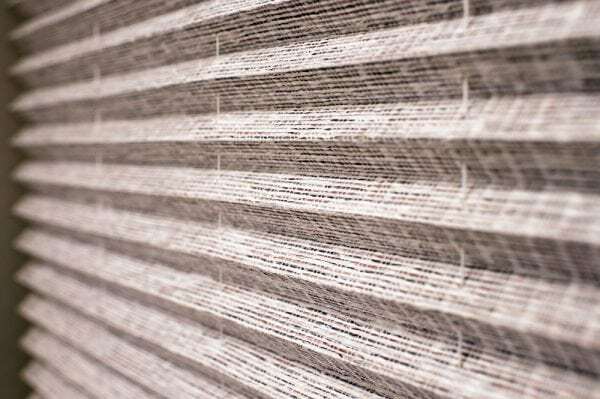 Speak to the Norwich Sunblinds team about Equi-Pleat, a unique permanent-pleat system that stops sagging and maintains equal spacing between the pleats. 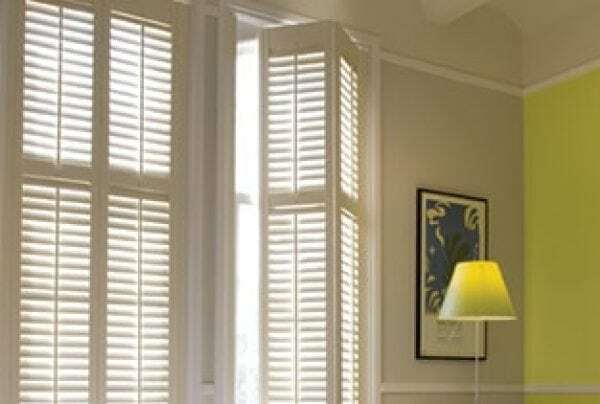 Shutters might not be the first thing that comes to mind when thinking about how to dress your bay window. 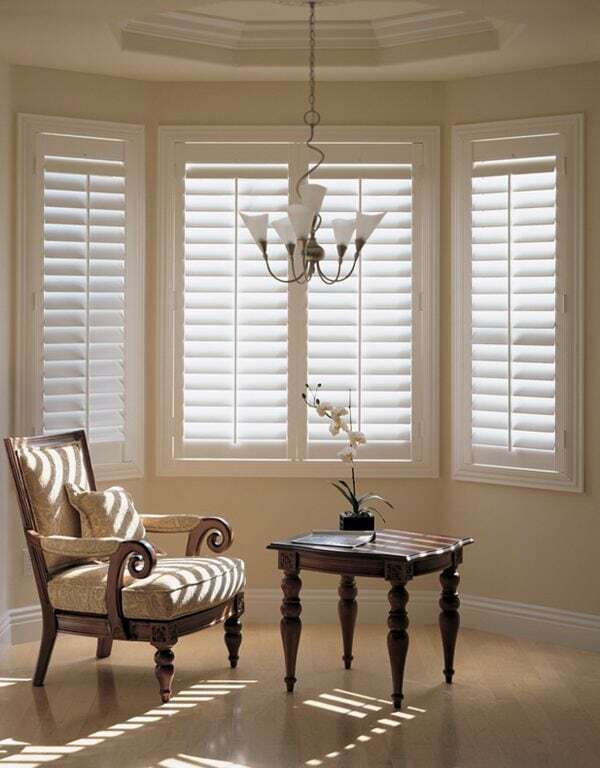 However, bay window shutters create a stylish luxurious look. With Norwich Sunblinds, you can opt for full height shutters or a tier on tier level, when you can open the top half of the window independently of the bottom. You have ultimate control with shutters, open to let light in and closed when you want privacy. The insulation properties make shutters suited for year-round use. Our Plantation Shutters are made to measure in slatted or solid wood and can be custom painted to suit your décor. What’s more, if you match the shutters closely with the window paintwork, they appear seamless, almost disappearing. Visit our showrooms in Norwich Lanes or Attleborough to find out how shutters would work for your home. Bay windows can be tricky but with the right advice, you will get what you want. One of the main problems with bay windows is the potential for gaps because of their shape, which can cause heat loss and let in draughts. Curved headrails and curved curtain tracks can help combat this. Angled curtain poles also make life a lot easier. When planning bay window blinds, you also need to consider that the handles will stick out more than on standard windows. This makes Perfect fit blinds a good solution. As well as roman and pleated blinds, vertical, roller and venetian blinds can also work well for bay windows. The key to successful bay window dressing is getting professional advice on what will work best for your home. Everything is made to measure for you by Norwich Sunblinds. From the home appointment when we do all the measuring up to the making of your bay window blinds or curtains. Even the fitting is done by our expert team. We can also make coordinating soft furnishings. Bay windows often have more glass than usual windows, meaning there is the likelihood of draughts and that heat will escape. 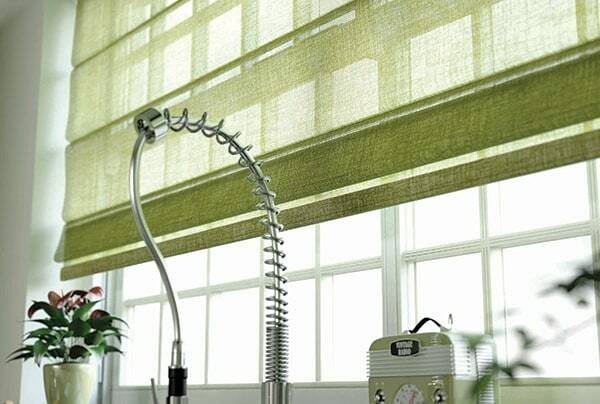 At Norwich Sunblinds, we know our stuff, we’ll recommend you have your blinds lined if that will help retain heat in your home. 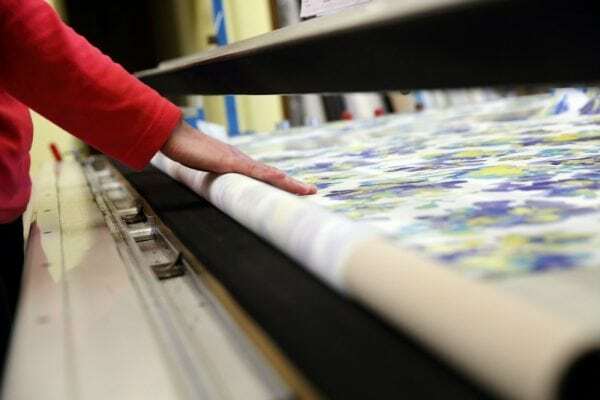 We’ll use our 40 years’ experience, to help make your bay window blinds and curtains just perfect for you. We make blinds and curtains to suit all shapes and sizes of window. Book a home appointment with Norwich Sunblinds to find out more about our wide choice of fabrics and finishes for your home.